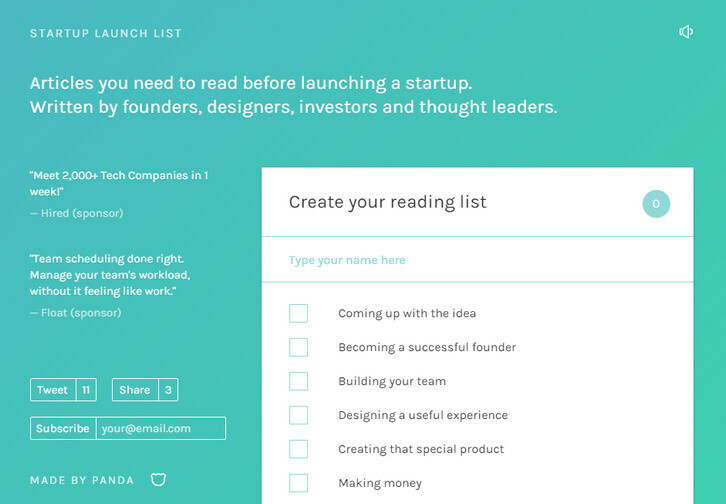 Startup Launch List is contains all a​rticles you need to read before launching a startup. They are written by​ ​founders, designers, investors and thought leaders. “Make sure you read all of Paul Graham’s essays.” This little app sort of follows that thought. It’s a place where you can read essential articles from respected folks like Jason Fried, Derek Sivers, Brad Feld, Mark Suster, Sam Altman, Fred Wilson etc. Great idea for those needing specific curated content.